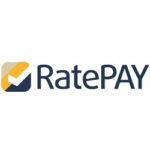 Frankfurt, 3 April 2017 – Advent International (“Advent”) and Bain Capital Private Equity (“Bain Capital”) have signed an agreement to acquire Ratepay GmbH, the German online payment services arm of the Otto Group, for an undisclosed sum. It is planned that Ratepay will be integrated with Concardis, the Eschborn-based payment service provider acquired by Advent and Bain Capital in January 2017, representing the first step of a buy and build strategy. The closing of the acquisition of Concardis is still pending. Ratepay will retain its brand and will be managed as an independent company within the Concardis Group. Founded in Germany in 1949, today the Otto Group is a globally operating retail and services group with around 49,750 employees. The Group includes 123 major companies and is present in over 30 countries in Europe, North and South America and Asia. Its business activities are grouped into three segments: Multichannel Retail, Financial Services and Service. In the 2016/17 financial year (to 28 February), according to preliminary calculation the Otto Group generated turnover of 12.5 billion euros. It is one of the world’s largest online retailer. E-commerce, catalogue sales and over-the-counter retail form the three pillars of the Otto Group’s Multichannel Retail strategy. Its worldwide corporate activities, numerous strategic partnerships and joint ventures provide the Otto Group with excellent opportunities to transfer know-how and leverage areas of synergy potential. Group companies operate largely independently, guaranteeing flexibility, customer proximity and optimum target-group appeal in their respective national markets.